She’s the dancing sensation who has swept everyone off of their feet – she’s the spectacular Nia Sioux! The incredible Nia Sioux is a total #QUEEN and we can’t put into words how much we love her. It’s hard not to obsess over someone as magnificent as Nia Sioux is. The lovely Nia Sioux truly defines what it is like to be a multi-threat. She first became a fan-favorite as we saw her dance her heart out in the highly-acclaimed, hit TV show, Dance Moms. Fans were instantaneously left in awe with Nia Sioux’s remarkable, dance skills, her down-to-earth and genuine personality and her wonderful charm and energy in anything and everything that she does. Since then, Nia Sioux has been showcasing her outstanding talent in just about everything you can think of. She has established herself as one fantastic actress as she recently joined the cast of The Bold and The Beautiful. Nia Sioux has managed to leave all viewers absolutely speechless with her marvelous gift for acting in each and every episode and we look forward to seeing more of her in the show. In addition, Nia Sioux is a phenomenal singer and she also so happens to bring out some of the greatest content on her YouTube channel. Nia Sioux is an exceptional role model to all of her fans and she is one shining star that can’t be beat. 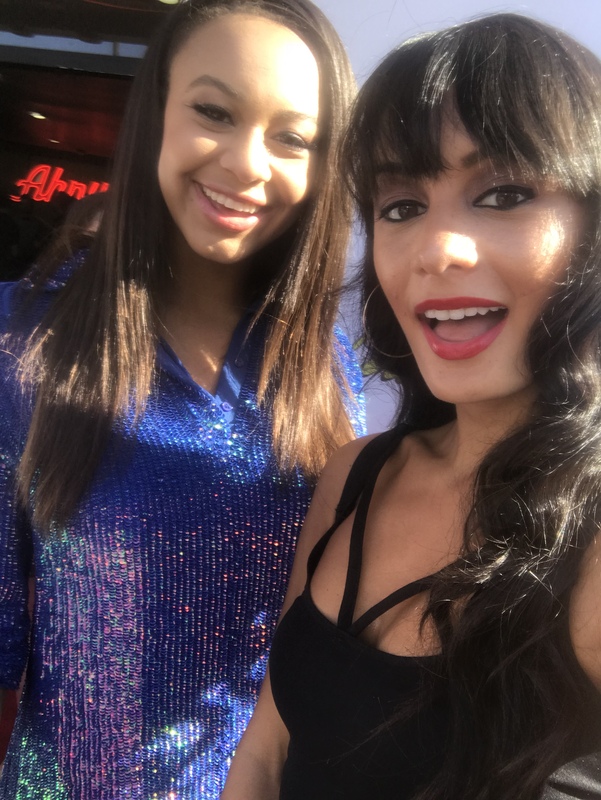 I, Alexisjoyvipaccess had a great time covering the premiere of Chicken Girls: The Movie and had a terrific time interviewing the beautiful Nia Sioux at the event. Nia Sioux dished exclusively to Alexisjoyvipaccess all about what it has been like for her working on The Bold & The Beautiful, who are some musicians she would like to create a song with in the future and so much more only in our VIPAccessEXCLUSIVE interview. Nia Sioux even revealed who are some people in her #GirlGang – hear what she had to say in our VIPAccessEXCLUSIVE interview below. Thanks for the fun interview, Nia! Check out my VIPAccessEXCLUSIVE interview with the brilliant Nia Sioux at the premiere of Chicken Girls: The Movie below. Be sure to watch Chicken Girls: The Movie out now on Brat! Previous VIPAccessEXCLUSIVE: Sean Cavaliere Interview With Alexisjoyvipaccess At The “Chicken Girls: The Movie” Premiere! Next VIPAccessEXCLUSIVE: Dylan Conrique Interview With Alexisjoyvipaccess At The “Chicken Girls: The Movie” Premiere!